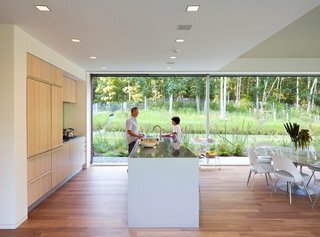 With careful planning and wise material choices, you can design an eco-friendly home that's not only gentler on the planet, but that will help you save on energy bills in the long run. 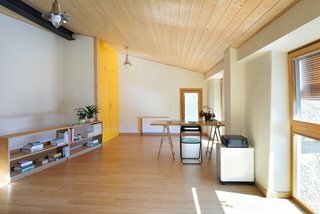 If you’re thinking of building an eco-friendly house, or making your home more green and efficient, take a look at the following homes to gather some helpful and effective ideas. Designed for close to net-zero energy consumption, architect Vivian Manasc’s colorful rooftop penthouse in Edmonton, Canada, is equipped with solar panels that generate electricity. Waste heat emissions from the elevator core help warm the space passively. 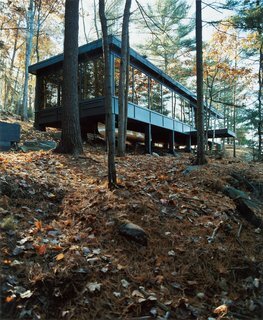 This cabin retreat in the woods of Ontario, Canada, has windows that were recycled from a Toronto skyscraper. It's outfitted with self-powered Ecofans, a 65-gallon pressurized tank with a pump that doesn’t require constant power to operate, an on-demand propane water heater and refrigerator, and a 19,000 BTU commercial-grade Wolf stove that's been converted from natural gas to propane. 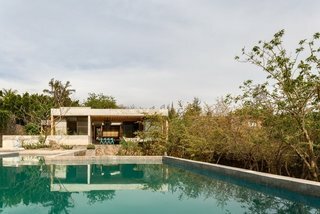 The Mexico City-based architects at Ambrosi | Etchegaray installed a 150,000-liter water tank that holds rainwater in this eco-friendly vacation home in Tepoztlán, Morelos. Solar energy warms the water in the tank when heating is required for the pool and shower water. 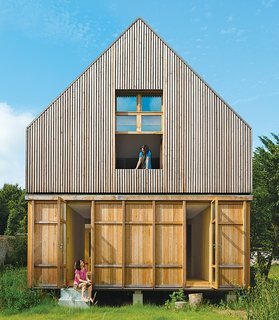 Designed by architecture firm Arba, this A-frame residence just 45-minutes outside of Paris has wood-stove heating, a solar vacuum tube for hot water, a washing machine, and a toilet that uses recycled water. Plus, it's connected to a 100-percent renewable grid that's supplied by French company Enercoop. 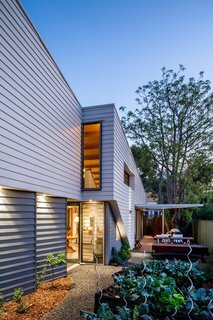 This Australian home by Perth-based Mountford Architects harvests its own rainwater for laundry, toilets, and graywater irrigation. It has photovoltaic roof panels for electricity generation and its own vegetable garden. Eight layers of polycarbonate plastic are used for the three-inch-thick cladding of the south-facing facade of this renovated house in the Spanish Pyrenees. 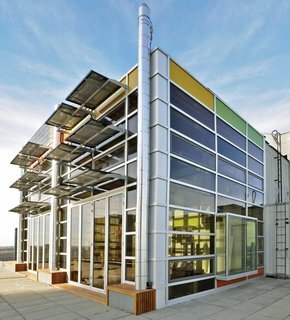 During the winter, the polycarbonate material absorbs sunlight during the day, heating up to about 130 degrees. This heat is then transferred to the stone walls, which slowly radiates warmth into the interiors, keeping it around 70 degrees—even as night temperatures drop to 25 degrees. 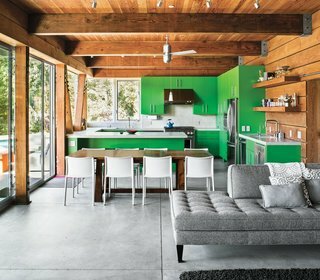 This family beach home in Montauk in the Hamptons is equipped with sustainable features such as a prefabricated foundation, a geothermal heating and cooling system buried below ground, and non-toxic finishes. Architect Michael Cobb used sustainable materials like straw bales and rammed earth in the construction of this weekend home in Healdsburg, California. In this home in La Jolla, California, materials from an older, demolished property on the site were combined with eco-friendly materials to create a home with energy-saving appliances, low-flow showerheads and faucets, dual-flush toilets, and LED lighting. Good ventilation is ensured with many large windows and doors that bring the coastal breezes in.